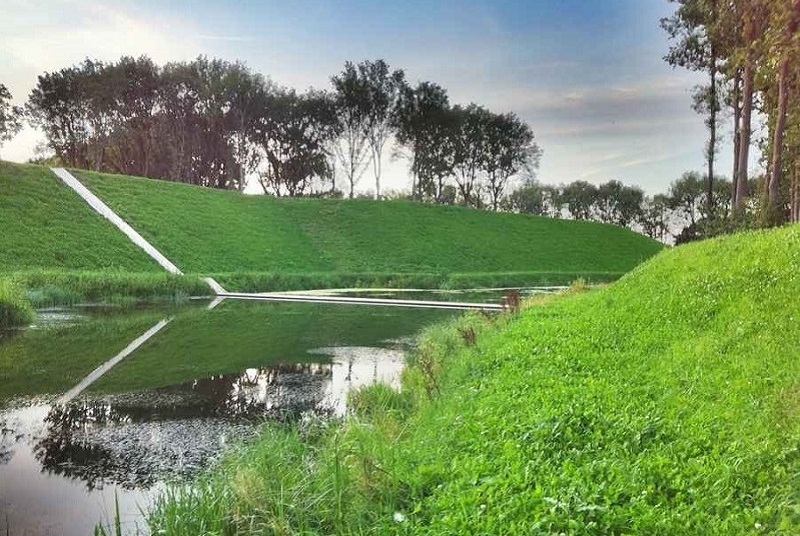 Blending into the surrounding landscape, the Moses Bridge divides a historic moat in two, recreating the look and feel of the 17th century Fort de Roovere. 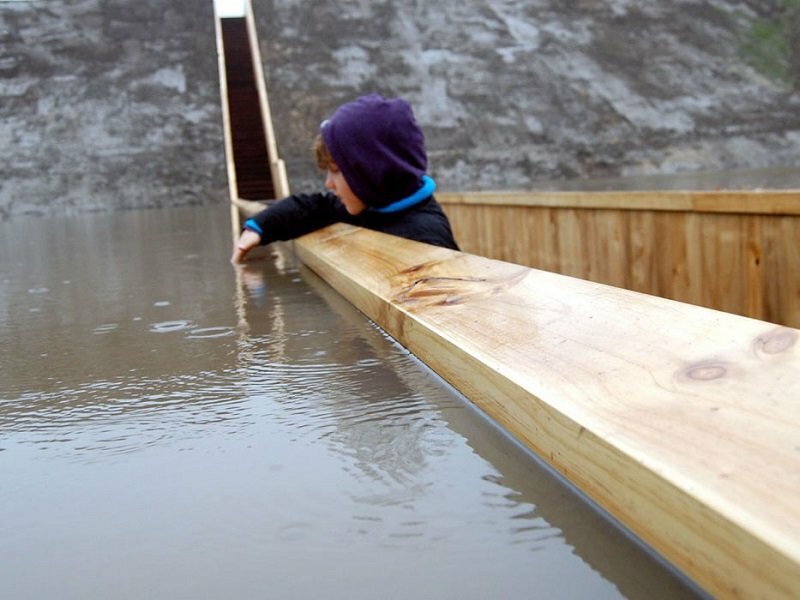 Take one glance at how the Moses Bridge divides water and you’ll see where the famous structure gets its name. 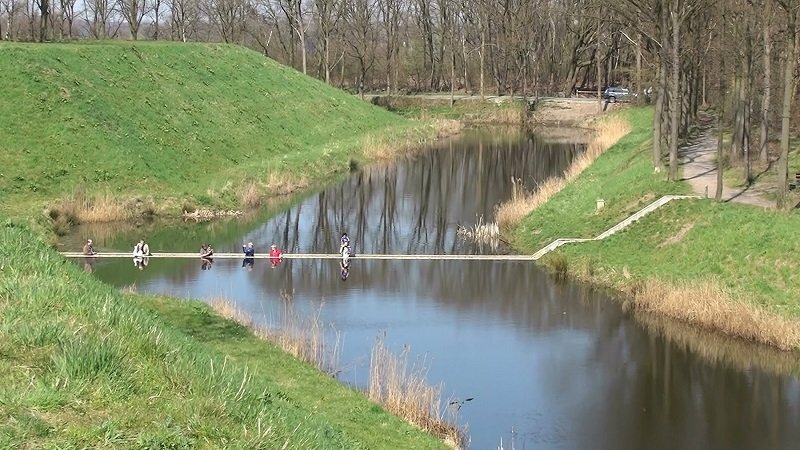 Although the Moses Bridge is found in the Netherlands — or thousands of miles from where Moses is said to have parted the Red Sea — this architectural wonder provides visitors with an updated spin on the classic tale. 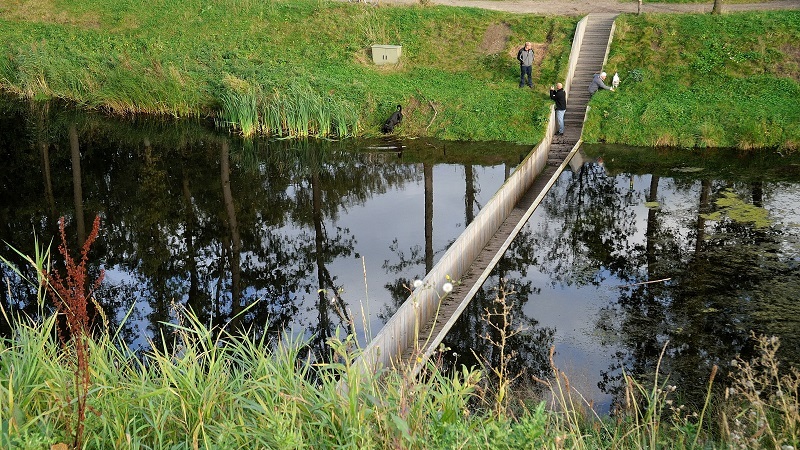 Sunken into the middle of a moat, Moses Bridge allows visitors to cross the water on their way to the 17th-century Fort de Roovere, one of many fortresses that was built near the West Brabant Water Line region to prevent French and Spanish invasions. 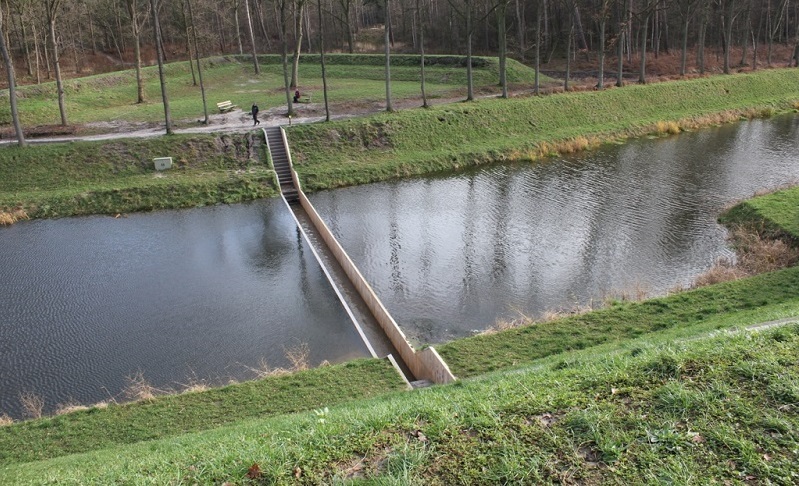 To prevent flooding, a pump at the bottom of the Moses Bridge (also referred to as the Loopgraafbrug or the Trench Bridge) removes water during periods of heavy rainfall. 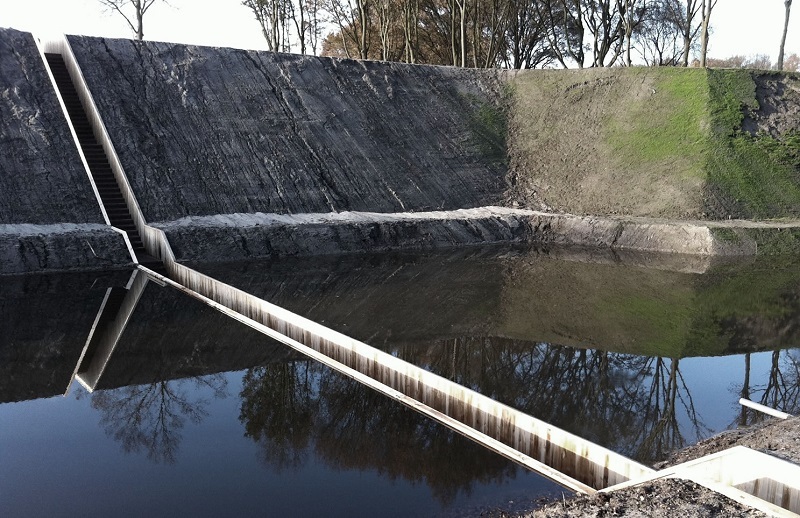 Two dams on either side of the moat also maintain water levels. 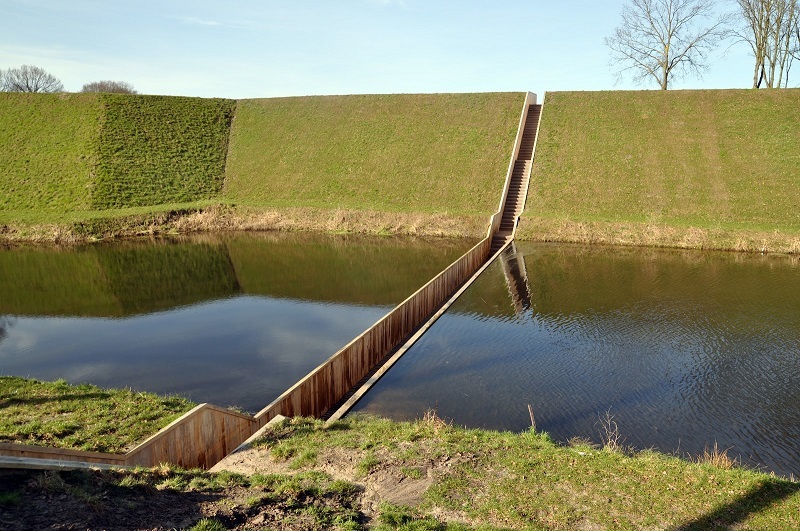 Designed by architects Ad Kil and Ro Koster, the Moses Bridge allows visitors to get up close and personal with the moat’s water, which laps at the sides for a surreal experience. 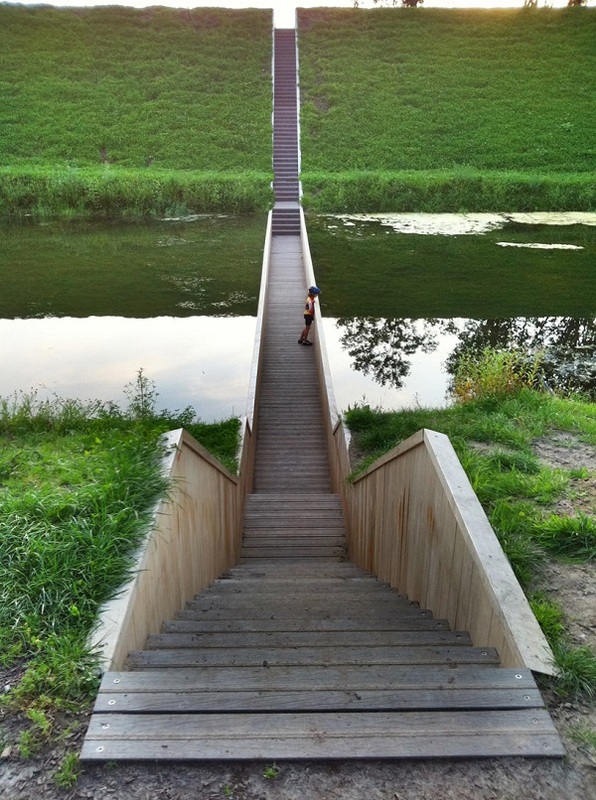 The Moses Bridge was constructed from Accoya wood, a high-technology, long-life wood that’s created through the acetylation wood modification process. This material, which is sustainably sourced, is more durable than most tropical woods. 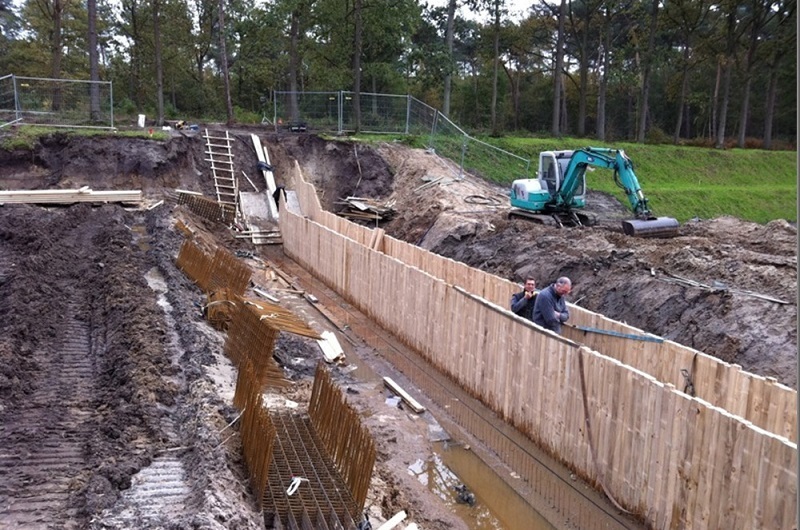 To keep the bridge in pristine condition, designers treated the wood with an anti-fungal, nontoxic coating.